The Great Britain Pound (GBP) inched higher against the US Dollar (USD) on Friday, increasing the price of GBPUSD to more than 1.3000 following key economic releases. The technical bias may turn bearish because the pair’s price marked a higher low in the recent upside move. Currently, the pair is being traded around 1.3o41, a resistance can be noted around 1.3148, a major horizontal resistance level is the point of reference. 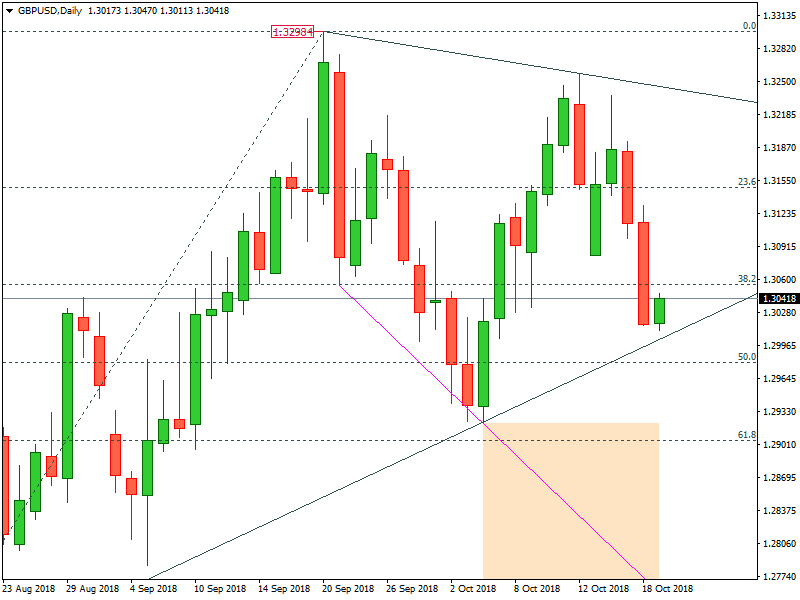 Another resistance may come near 1.3242, the trend line resistance and then comes a key horizontal resistance around 1.3297, which is likely to resist the price from increasing further as demonstrated in the given below chart. On the downside, a support can be witnessed around 1.2978, the 61.8% Fib level support. Another support level may come at 1.2756, the trend line support level. At 1.2660, the key horizontal support is likely to come across which may prevent the price of the pair from falling below this level as demonstrated in the given above chart. The technical bias shall remain bearish as long as 1.3148, a major horizontal resistance level remains intact. Non-Farm Payrolls in the United States averaged 126.88 Thousand from 1939 until 2018, reaching an all-time high of 1115 Thousand in September of 1983 and a record low of -834 Thousand in October of 1949. Considering the overall price behavior of the pair over the last couple of days, selling the GBPUSD around current levels can be a good decision in short to medium term.